Cybercrime cost the UK £1.6 billion in 2015. Over 22 percent of internet users were attacked in the last year. One of the main techniques used by cyber criminals is to siphon off login credentials from employees. Therefore, organisations must protect their Windows environments. Some of the best ways to do this are to strengthen passwords, configure authentication protocols, and restrict access to resources. Watch our free on demand webinar on Hardening the Security of Your Windows Active Directory and Servers: Passwords, Authentication, and Access. Derek Melber is a Group Policy & AD MVP. 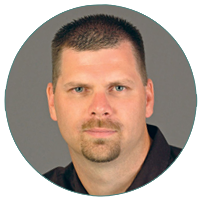 As an Active Directory MVP, Derek helps Active Directory administrators, auditors, and security professionals understand the finer points of how to manage, audit, recover, and solve issues that occur in Active Directory and Group Policy. Derek educates IT professionals on Active Directory, Group Policy, and security. Derek also writes and produces videos on all of his areas of expertise. He has written over 15 books, with the latest being Windows Group Policy Resource Kit, published by Microsoft Press. ManageEngine simplifies IT management with affordable software that offers the ease of use SMBs need and the powerful features the largest enterprises demand. Over 120,000 companies around the world - including three of every five Fortune 500 companies - trust our products to manage their networks and data centers, business applications, and IT services and security. ManageEngine is a division of Zoho Corp.